19 miles of trails, a five-acre farm and garden, and 176 acres of magnificent lakes — including a mile long central lake — are just a few of the natural elements that make up Arden, the new master-planned community with a prestigious Palm Beach County address. Developed by Freehold Communities, the scenic property with 2,000 homes planned is purposefully designed to magnify the connection between nature, happiness and healthy living. Arden is located just off of Southern Blvd., directly across from a wildlife refuge, and plans to offer direct trail access to the Northeast Everglades Natural Area (NENA) trail and information system. Arden is now well under construction and is expected to open later this year. Arden’s impressive amenities were developed based on comprehensive market research, and are expected to raise the standard for planned communities in South Florida. Embracing the area’s rich agricultural history, Arden is one of the first to feature a working farm as an essential component of community life. The five-acre parcel is centrally located, with a community barn where residents can gather for seasonal cooking classes, harvest events or farm-to-fork meals. 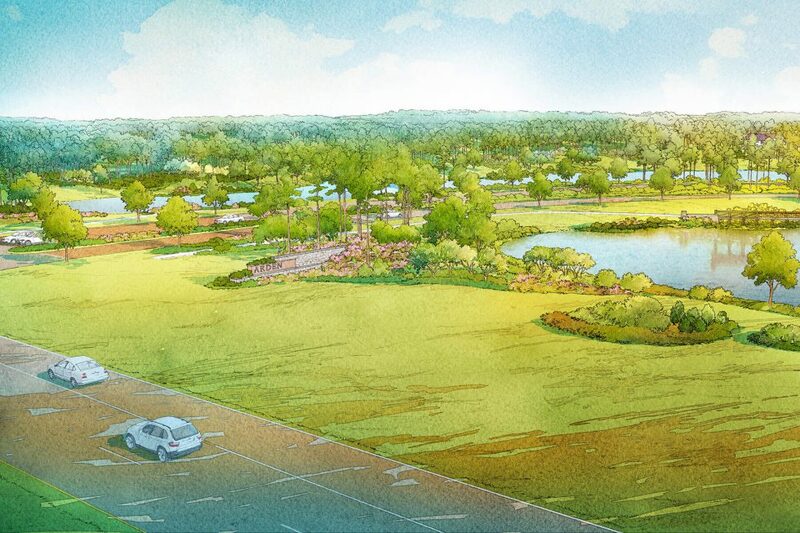 Further reinforcing the community’s focus on healthy living, Arden will provide 19 miles of expertly-mapped walking and biking trails that loop around the central mile-long lake, which will offer abundant opportunities for fishing, rowing, and kayaking. The gracious, two-story clubhouse will be the heart of recreational activity at Arden. On the outdoor patio, a resort-style pool flows over two levels. The peaceful upper pool is surrounded by private cabanas for those who want some quiet time, while the lower pool provides an interactive splash pad and multiple fountains. The interior of the Clubhouse offers a private exercise studio, fully-equipped fitness room, private event spaces, and a coffee and tea bar. Unlike many other master-planned communities, every home site at Arden will back up to a park, greenway or nature trail. The list of home builders will be announced soon. Arden’s ideal location is a short drive from the celebrated beaches, shops, restaurants and nightlife of West Palm Beach. Just a few miles from Arden’s gates, residents will enjoy shopping at the Mall at Wellington Green, in addition to the area’s world-famous equestrian and polo competitions. While long-term plans call for a new school onsite, the community is currently zoned for Palm Beach County’s A-rated public schools within Wellington, and enjoys close proximity to the new campus at Palm Beach State College and the highly-anticipated Publix. School assignment is not guaranteed. Please contact the Palm Beach County School District Boundary Office at (561) 434-8100 for the most current school assignment(s). Freehold Communities is currently developing over 10,000 residential lots in Florida, Texas, Tennessee, California and North Carolina. Arden is one of two Freehold communities in Florida. For more information about Arden or to sign up for the Founders’ Club, please visit www.ArdenFL.com.